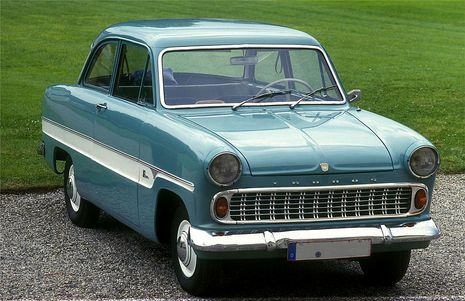 Ford Taunus was a range of family cars sold by Ford in Germany and other countries. Models from 1970 onward were similar to the Ford Cortina in the United Kingdom. 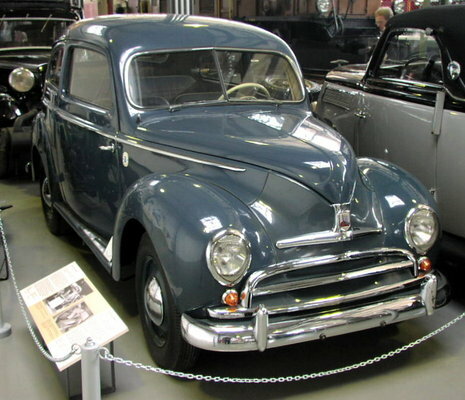 The model line was named after the Taunus mountain range in Germany and was first made in 1939 and continued through several versions until 1994. Growing prosperity in postwar Germany encouraged Ford to offer a line of bigger and more expensive cars. The car was as long as (though significantly narrower than) the British Consul Mk2, but a different car. It presented a style similar to American 1956 Fords, featuring substantial (at least by European standards) tailfins. The transatlantic flamboyance of the car's styling gained it the soubriquet "Baroque Taunus". Unusually for middle class German cars of this period, it was available with either two or four doors. 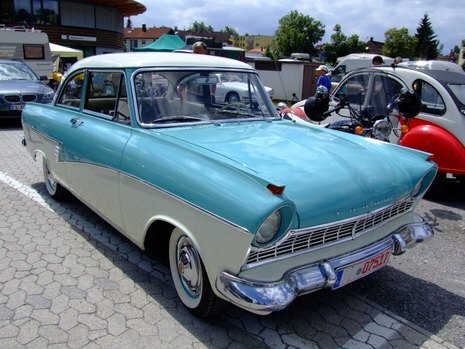 The competition noticed, and from 1959 it would become possible to buy an Opel Rekord with four doors. The P2 used a ohv engine with 1698 cc and 60 hp (44 kW). A maximum speed of 128 km/h (80 mph) was quoted. A road test of the time commended the smoothness of the three speed all-synchromesh manual transmission system. Whilst Ford was busy producing the Mk II Consul in the UK Ford Germany launched the similar Taunus 17M, Phase 2 in 1957. The new Taunus also featured an over-square four cylinder engine of 1698cc and also boasted a four speed gearbox, unfortunately the Taunus cars imported into the UK had a three speed gearbox, maybe Ford didn't want to upstage the UK built Consul which still used a three speed 'box!. Production of the 17M Phase 2 continued in Germany until 1960.